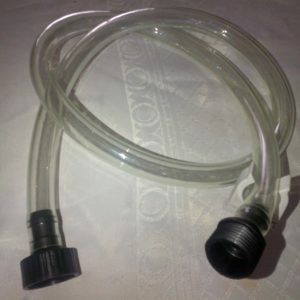 A clear dispensing hose fits between the spigot and the male to male adaptor that joins the spigot to the rain barrel. The hose clip is secured to the top side of the barrel with a metal screw that is included and the spigot is threaded to the top end of the hose. 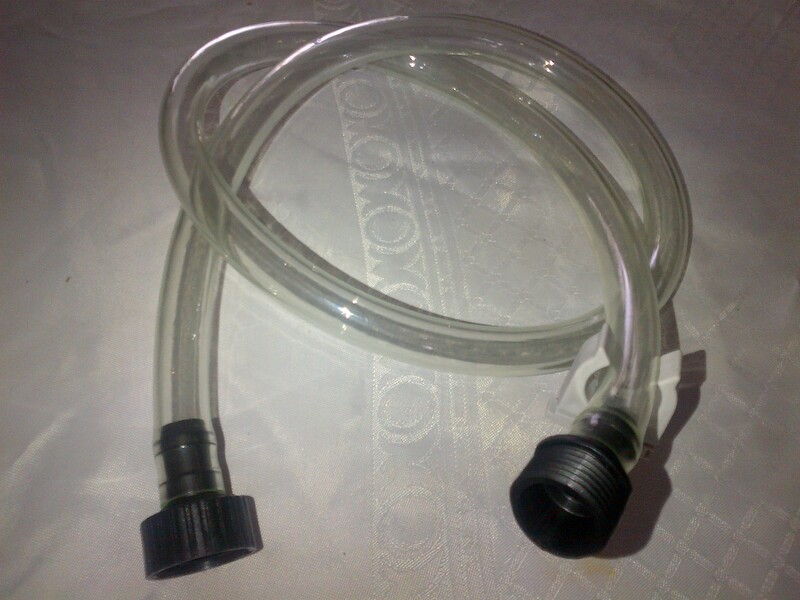 The hose can be cradled in the hose clip and the spigot can be operated without having to reach down the the bottom side of the barrel. The clear hose also displays the water level in the barrel.